In a previous article (“US: The Century of Lost Wars”) I recorded the repeated US military defeats over the past two decades. 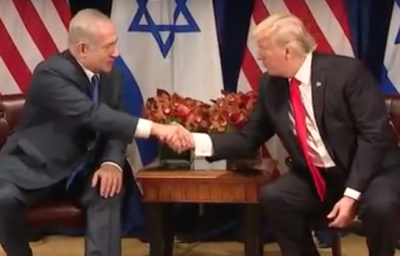 In this discussion I will describe the role of military strategists who bear responsibility for the US defeats, but also for Israeli political successes. US war strategists’ operations reflect ‘dual loyalties’. On the one-hand they receive their elite education and high positions in the US, while their political loyalties to Tel Aviv express their Israel First strategic decisions. In each of these wars, the Israel firster war strategists, (1) identified the enemy, (2) exaggerated the threat to the US and (3) grossly inflated the military capacity of the targeted country. They started with Iraq and Afghanistan and then proceeded to the other nations, all opponents of Israel. Driven by their loyalty to Israel’s ‘expansionist goals’, the military strategists ignored the ‘real world’ political and economic costs to the US people and state. Professional and academic credentials, nepotism and tribal loyalties, each contributed to the Israel firsters advance to securing strategic decision-making positions and elite advisory posts in the Pentagon, State Department, Treasury and White House. This was in part because the US acted as an instrument of another power (Israel). Moreover, the Israel firsters never were obliged to reflect in self-criticism nor to admit their failures and rectify their disastrous strategies. There are countervailing measures that can lessen the impact of the strategic policies of the Israel Firsters. Academic Israel firsters should be encouraged to remain in academia where their harm would be limited to misleading their students, rather than serve Israel’s interest in the US State apparatus. Secondly, since the vast-majority of Israel firsters are more likely to be arm chair war mongers, who have not risked their lives in any of the US wars that they promote, obligatory recruitment into combat zones might dampen their ardor for wars. Thirdly, as matters stand, since many Israel firsters have chosen to serve in the so-called Israeli Defense (sic) Force (IDF) they should reimburse US taxpayers for their free ride to education, health and welfare. Fourthly, since most Israel firsters, who volunteer to join the IDF, favor shooting unarmed Palestinian protesters, medics, journalists and kite-flying children, they should be drafted into the US Army to serve in Afghanistan and face the battle-hardened, committed Taliban fighters surrounding Kabul. This experience might knock a bit of realism in their dreams of converting the Middle East into tribal fiefdoms controlled by a ‘Greater Israel’. Many national loyalties are forged by shared lives with families and friends of US soldiers who endure endless wars. Israel firsters dispatched to the war front would receive existential experiences, by mingling with working class and rural American soldiers that the Harvard, Princeton and Yale military strategists who design these wars for Israel have failed to understand. Obligatory courses on the genocide and ethnic cleansing of millions of Palestinian, Iraqi, Syrian, and Libyan people would enrich Israel firsters understanding of the diversity of “holocausts’ in contemporary ethno-religious settings. Face to face encounters in life threatening combat situations, where superior arms do not prevail, would deflate the hubris, arrogance and superiority complexes which fuel the tribal loyalties of Israel firsters. Yes, there is an honorable place for everyone who joins in solidarity with the victims of Israeli First war strategists.